Same instructions make yogurt out of raw or pasteurized milk or sour cream out of raw or pasteurized cream. Heat 2 quarts milk or cream up to 180°F. Let cool to room temp between 64°F – 77 °F. Pour all but about 1 cup of cooled milk into a container. Add 1/4 teaspoon of yogurt starter (I use GI ProHealth’s GI ProStart) to the reserved 1 cup of cooled milk and gently stir. Combine this mixture with the cooled milk in the container by gently stirring. Cover with lid. Place container in a yogurt machine (following the directions of the yogurt machine), oven, or food dehydrator. Let ferment for at least 24 hours at 100°F -110°F. 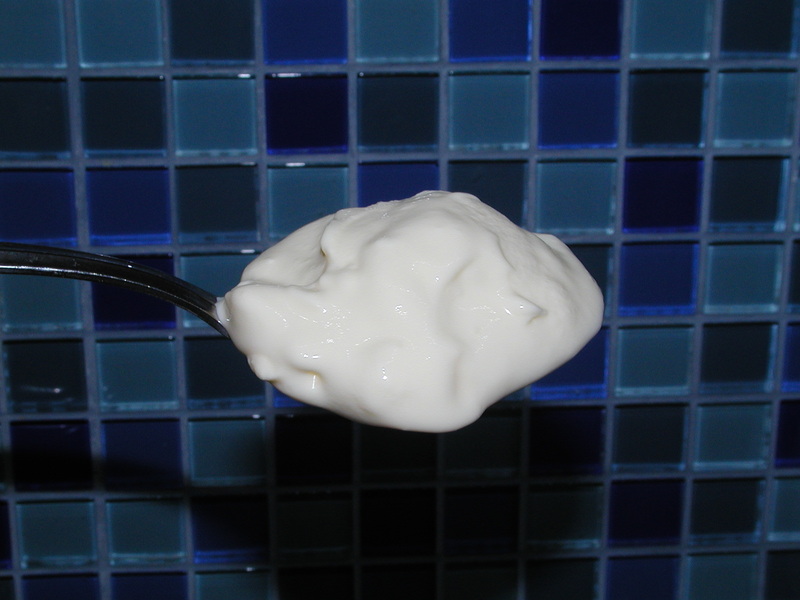 Transfer the container of yogurt or sour cream to the refrigerator for about 8 hours before serving. Enjoy!